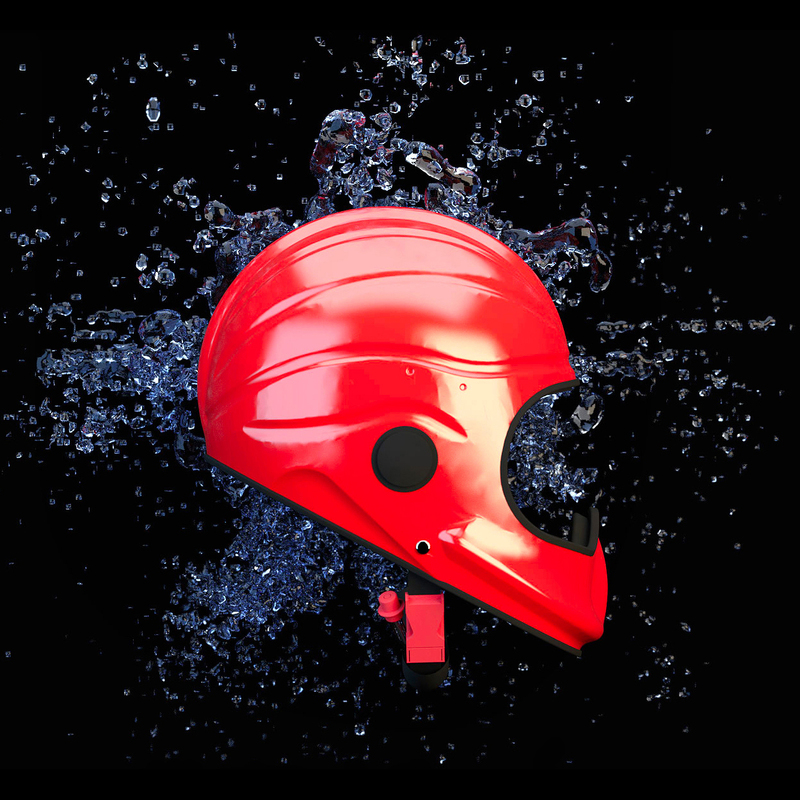 The full face marine safety helmet provides complete head protection against collisions from a personal watercraft and extreme weather conditions. Designed with jet skiers and power boaters in mind, the full face helmet provides protection around the chin which is likely to take the full force of any high-speed collision. Like all Gecko marine safety helmets, the full face helmet meets BSI marine safety helmet standard PAS 028:2002. The full face marine safety helmet is compatible with a range of accessories including visors, goggles and comms. The helmet has two side inserts that take grips to hold equipment such as a camera or flashlight. Please note that ear defenders cannot be worn with this helmet, so please see our cut away model if this is one of your requirements. The Full face is the number one choice for personal watercraft users, giving a motorcycle helmet level of protection without the weight and negative buoyancy. Designed to give the most protection of all the marine safety helmets, the Composite shell made from Kelvar, Carbon and GRP offers incredible strengh from impacts while staying lightweight. The helmet offers full peripheral vision while offering frontal protection from impacts.